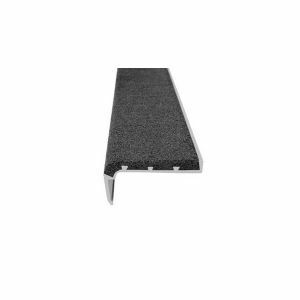 Quick Info Type Number: FAL-301 Description: For steel pan stairs. 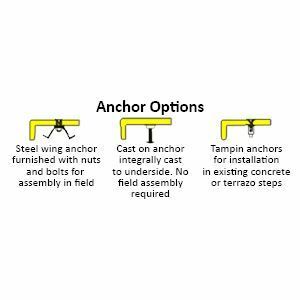 Width: 3-1/8" Lip: 1-1/2" Thickness: 3/8" Anchor Options: Drilled for screws. Stair nosings shall be Type No._________ as manufactured by American Safety Tread Company, Pelham, Alabama 35124. Telephone 1-800-245-4881. Description: For steel pan stairs.